Consumers are fighting a losing battle against debt and the rising cost of living amid a barrage of bleak economic indicators. READ: SA enters recession as GDP contracts for a consecutive quarterStatistics South Africa (Stats SA) revealed on Tuesday that the country is in a technical recession for the second time in eight years as gross domestic product contracted 0.7% for the first quarter of 2017. This followed the disclosure by Stats SA on Friday that unemployment in its broad definition increased in the first quarter of 2017 to 36.4% from 35.6% in last quarter of 2016. This means, said Stats SA, that an estimated 9.3 million people in South Africa want to work, but can’t find a job. Independent economist Dawie Roodt said it is unlikely that there will be an immediate backlash, because the markets have to an extent already factored in the bad news. Also last week, rating agencies Fitch and Standard and Poor’s (S&P), which stripped the country of its investment grade status, affirmed these ratings. A third rating agency, Moody’s, is set to make an announcement by July on its invesment status decision. Debt Rescue CEO Neil Roets said should Moody’s downgrade the country, interest rates would go up on everything from unsecured loans to mortgage repayments. He said the unemployment figures show that well over one third of the economically active population who want to work can’t find jobs. 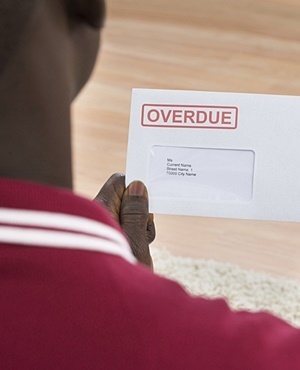 Roets said that South Africa is already one of the most highly indebted countries in the world, with more than half of economically active consumers owing three months or more on their outstanding debt. “We’ve become somewhat punch-drunk with the two junk downgrades that we’ve had from S&P and Fitch, with government bending over backwards to reassure us that it is not a big deal,” he said. “[U]nless we can somehow blow some life into our very stagnant economy, consumers are in for a very rough ride,” Roets warned. Another major problem waiting down the line is Eskom’s desire for a 19.9% electricity tariff hike from energy regulator Nersa. Roets said a downgrade would impact on all income groups, but the poorest of the poor would obviously be hit the hardest. “It is also going to severely impact the emerging middle class – many of whom have only recently escaped from poverty – and plunge them back into debt because that was the only way they could maintain their lifestyle. He said wages and salaries are not keeping pace with the cost increase of virtually all goods and services.